At SKK we have a strong belief that operating a successful business entails supporting our local community and the environment we live in. SKK has worked hand-in-hand with big corporations to sponsor paint for repainting of Daycare centres, units & common facilities for low income families in Woodlands, and some of their adopted homes for charity. 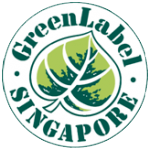 On top of that, we focus on being environmentally friendly in terms of our products – attaining the green label certification with low VOC, and our operations – given the Eco Office branding awarded by the Singapore Environmental Council.